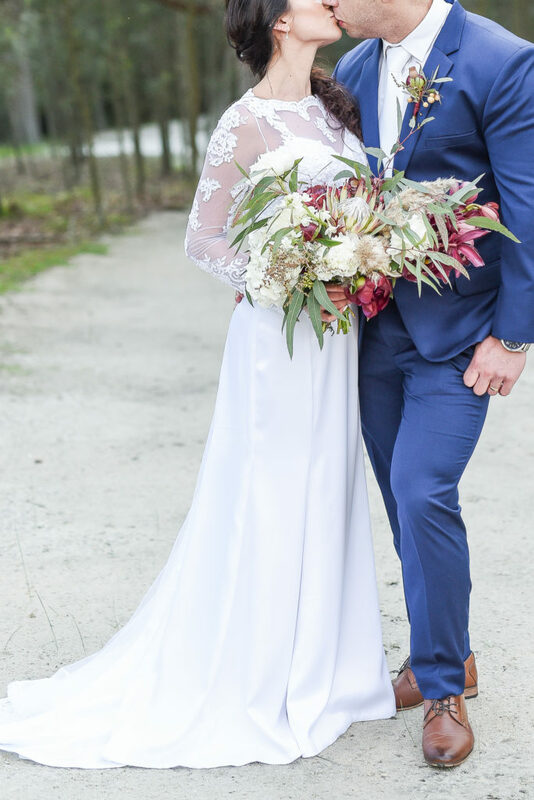 Ryno & Bianca really is the sweetest couple. 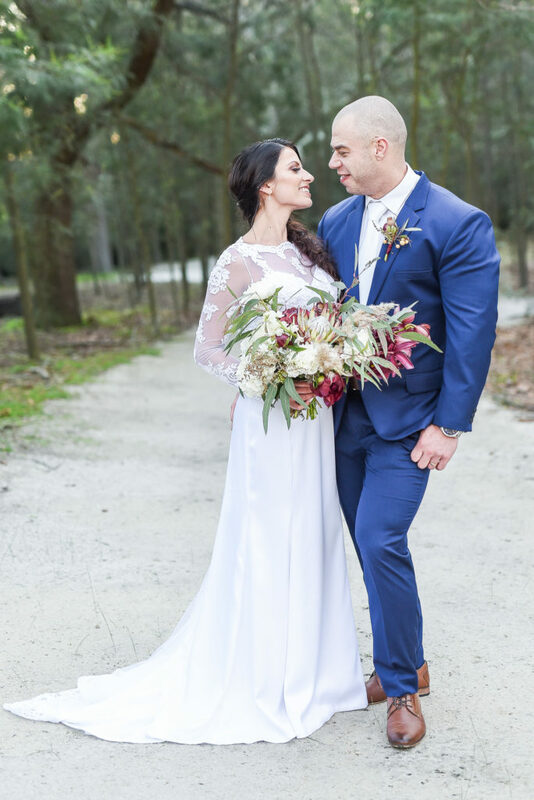 We know Ryno for a long time – he is actually one of my husband’s best friends since first grade. 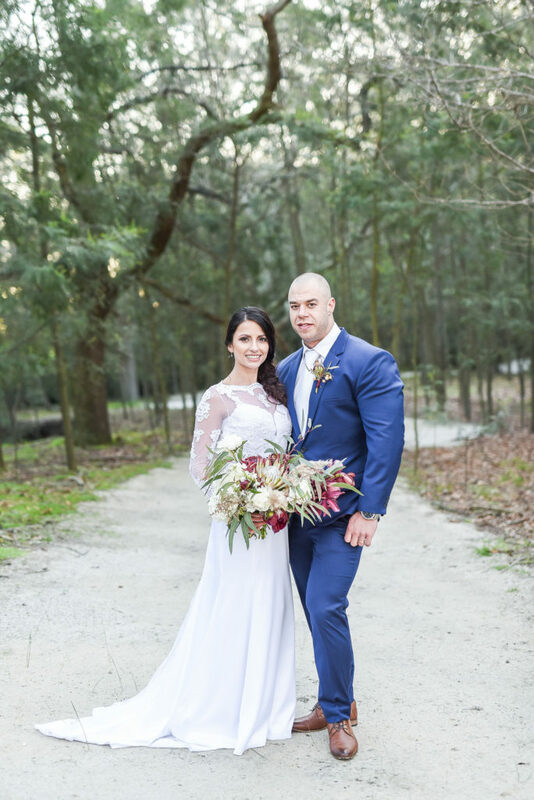 He is a gentle giant – big man with big muscles but the smallest heart. 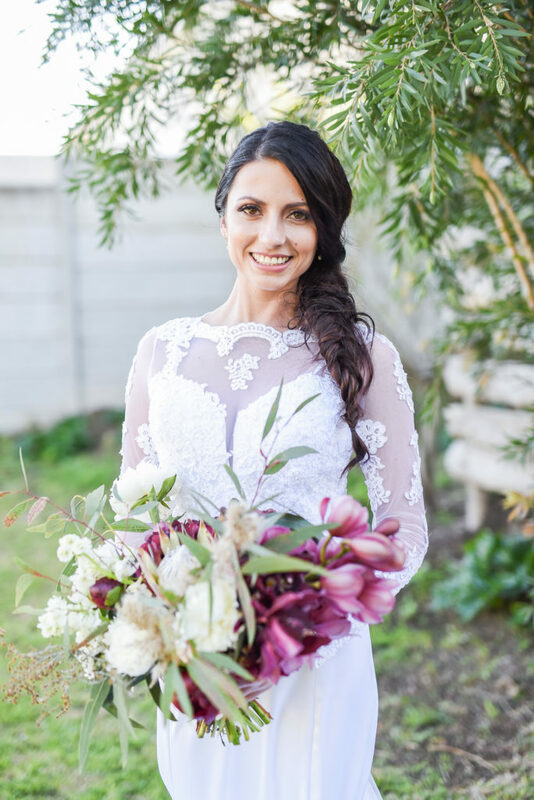 Bianca is this petite beauty and the perfect fit for Ryno. 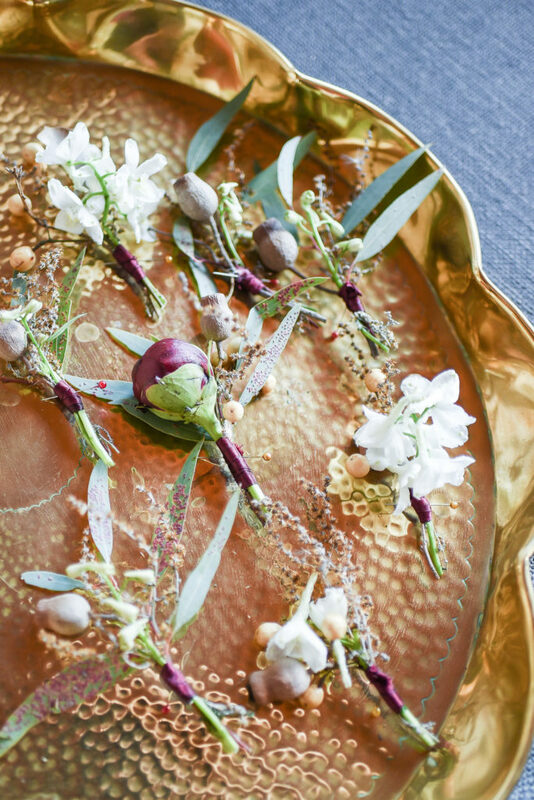 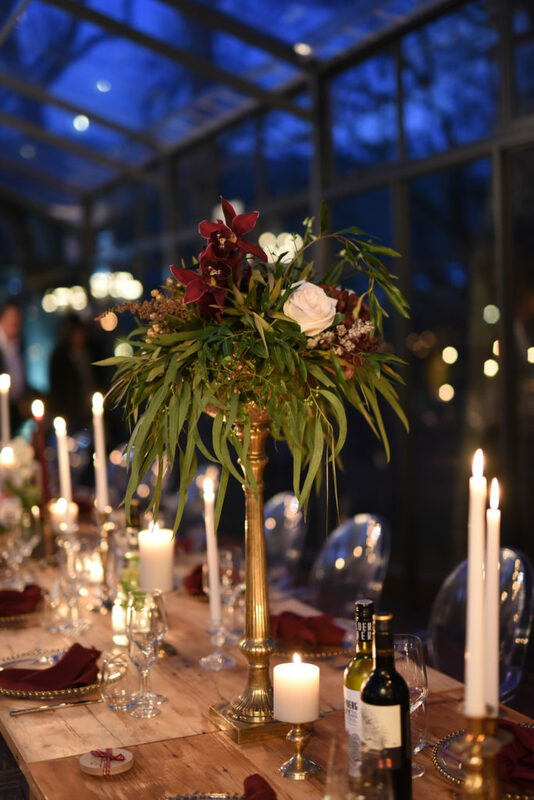 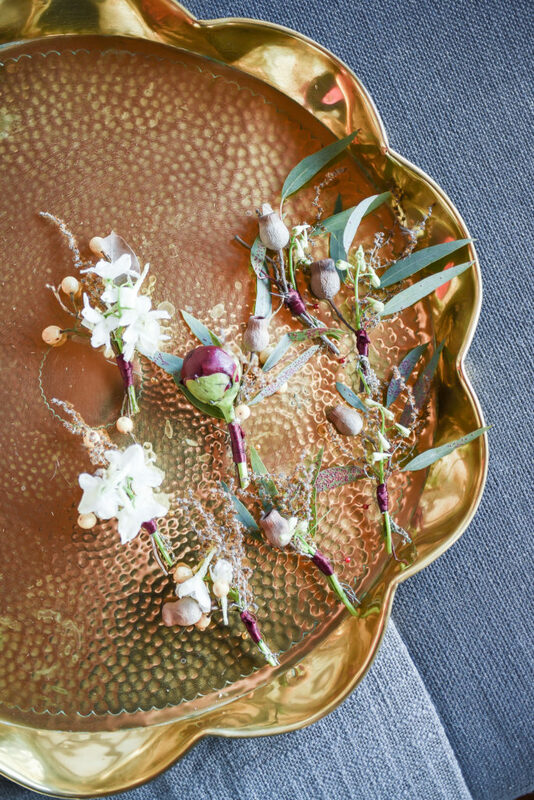 We used high vessels to create drama and leave enough space on the tablescape for candles, glassware and base plates. 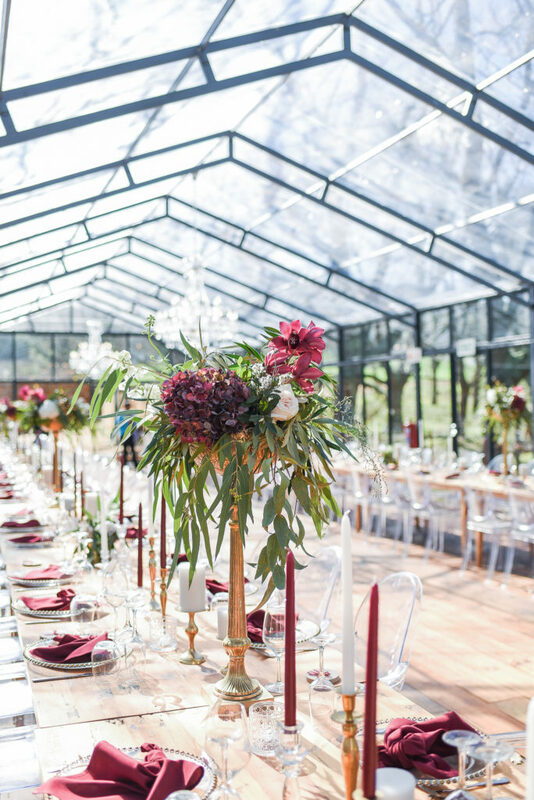 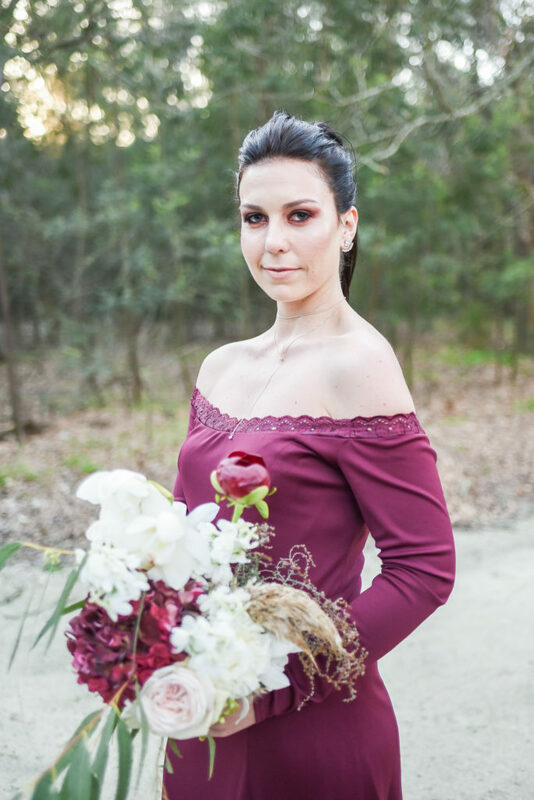 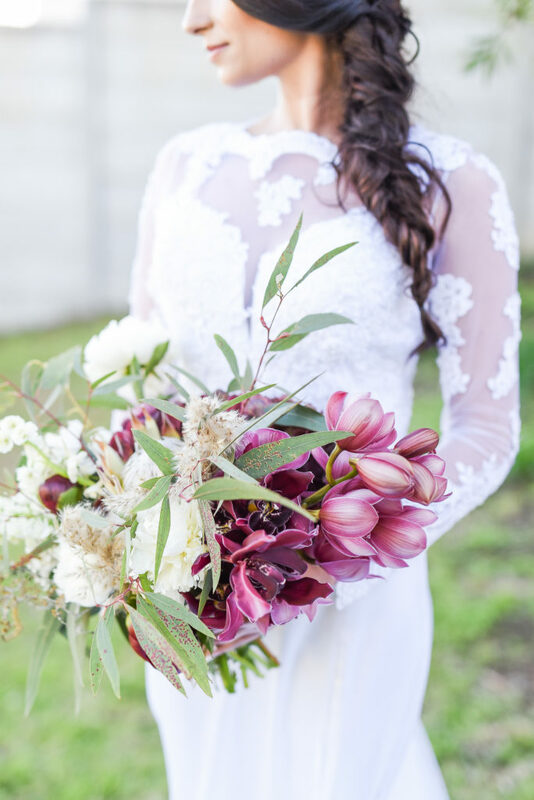 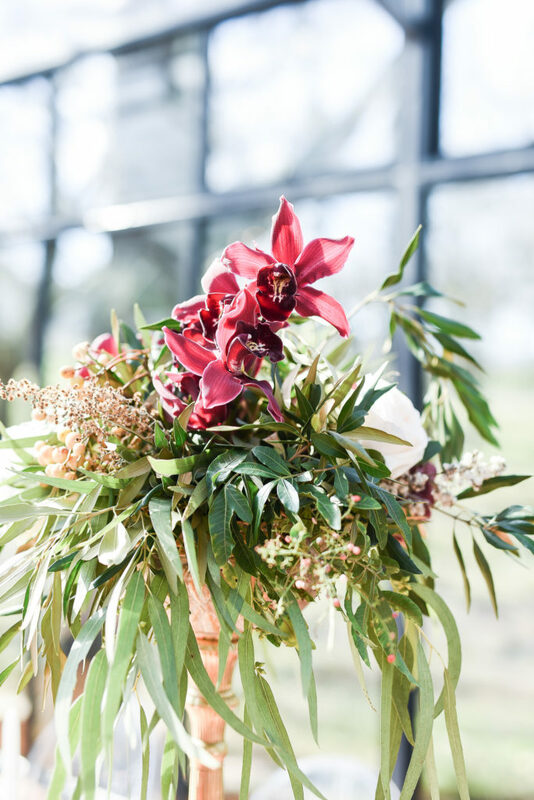 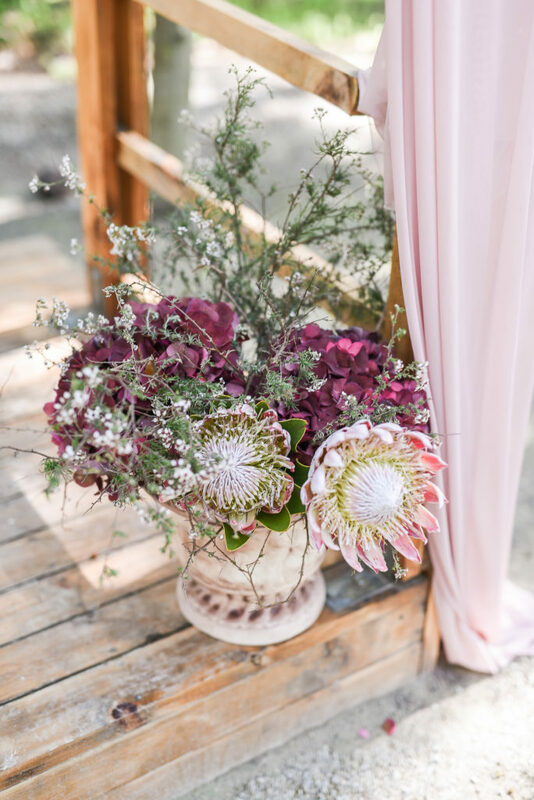 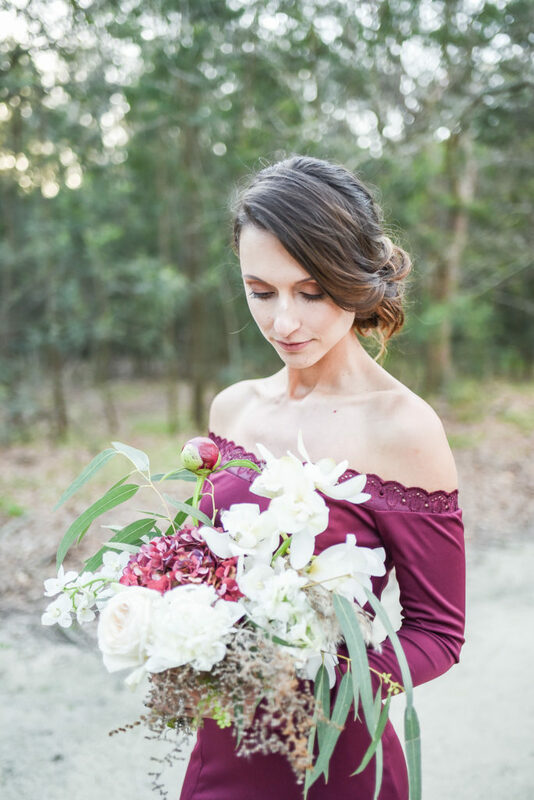 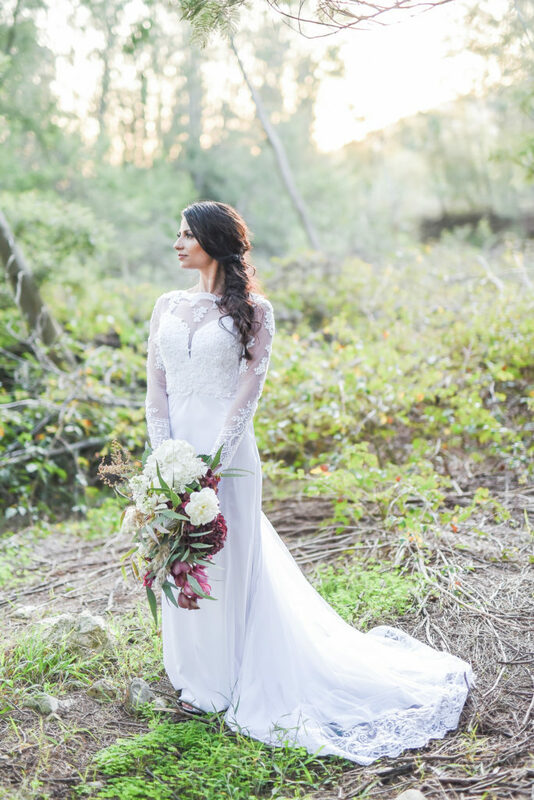 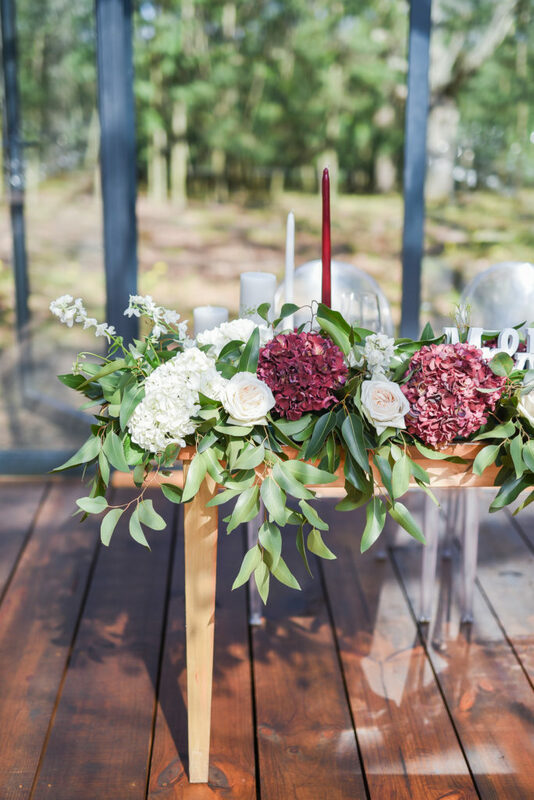 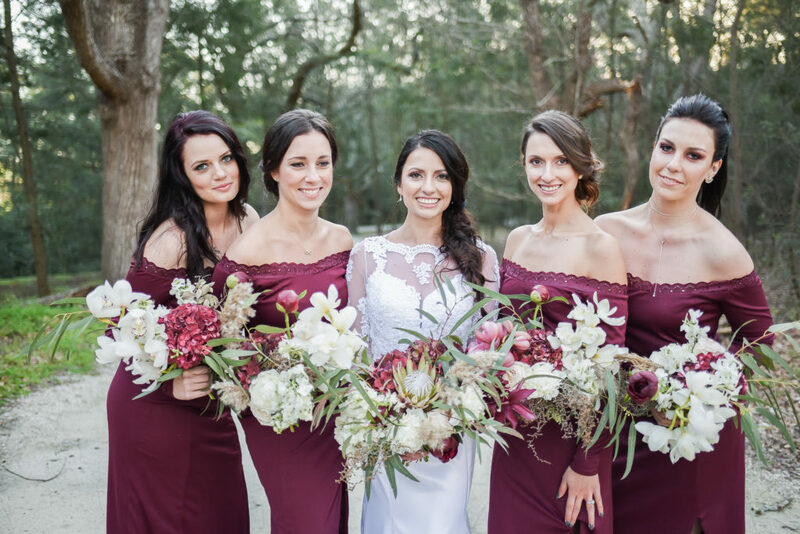 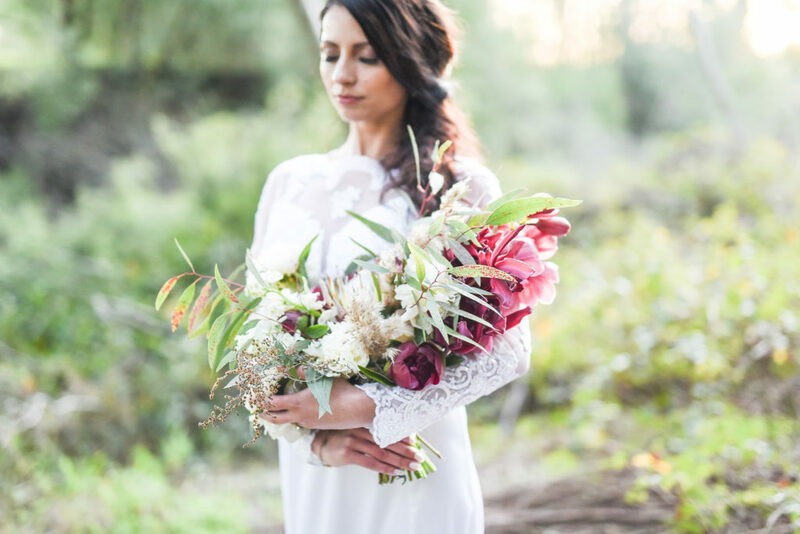 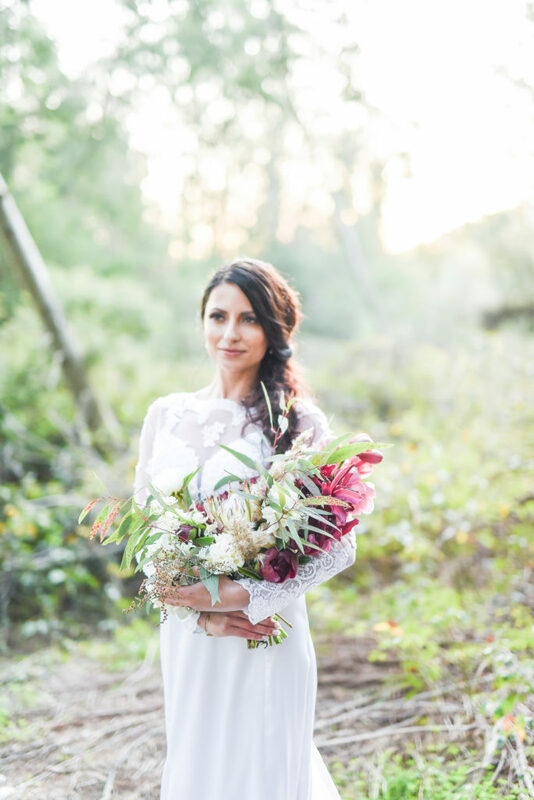 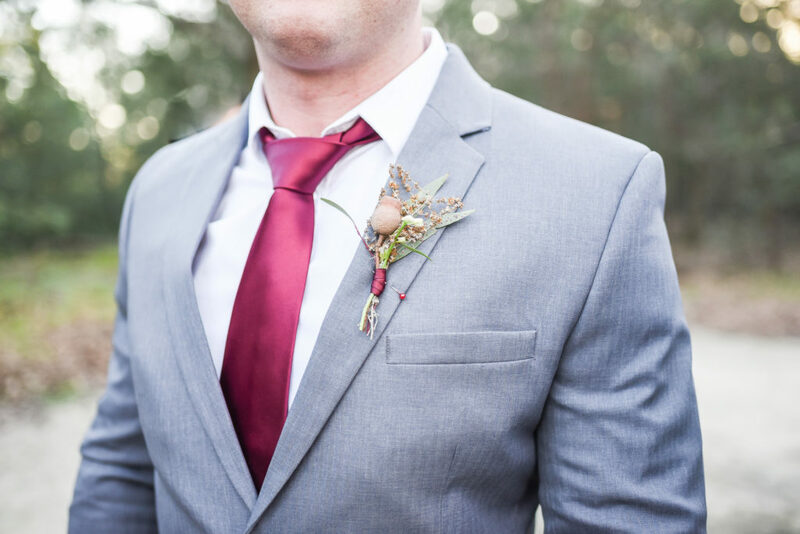 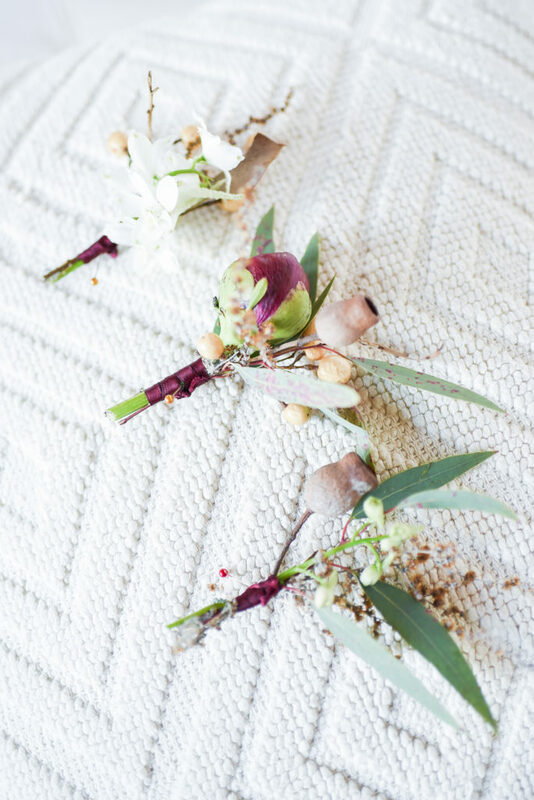 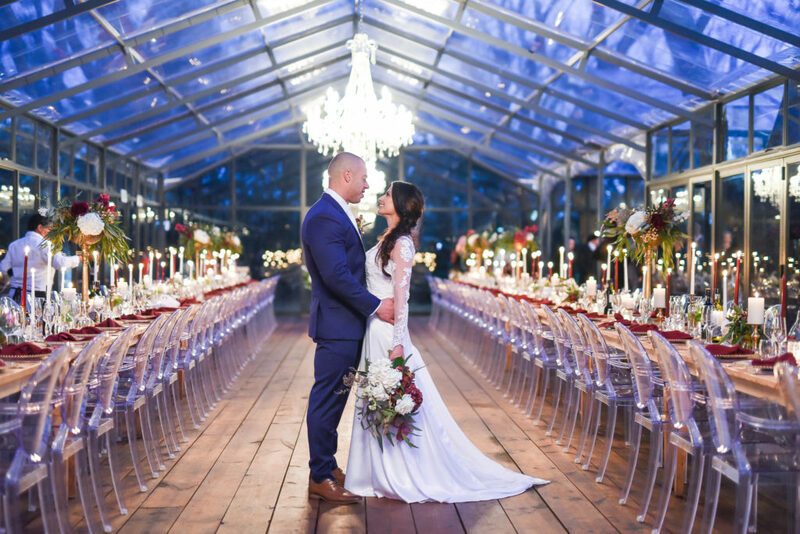 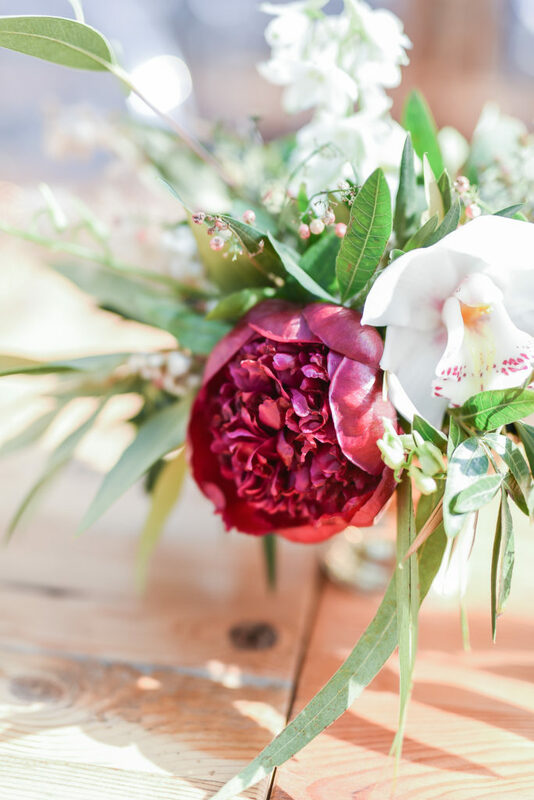 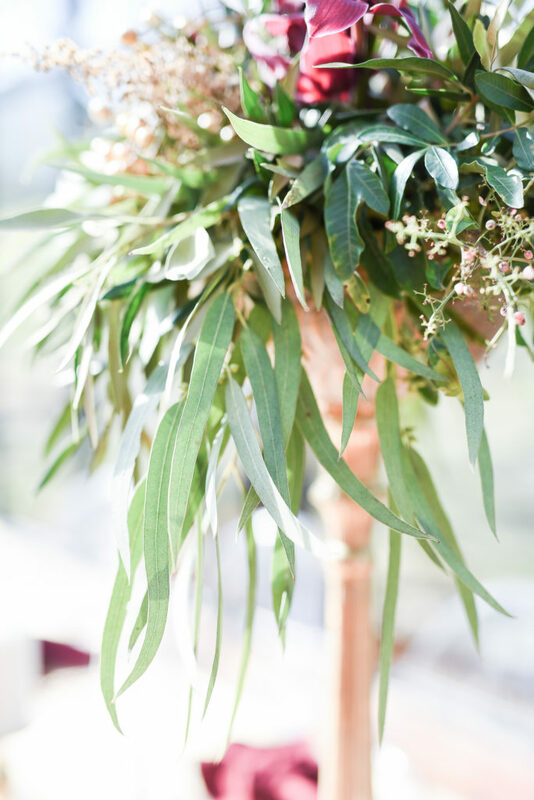 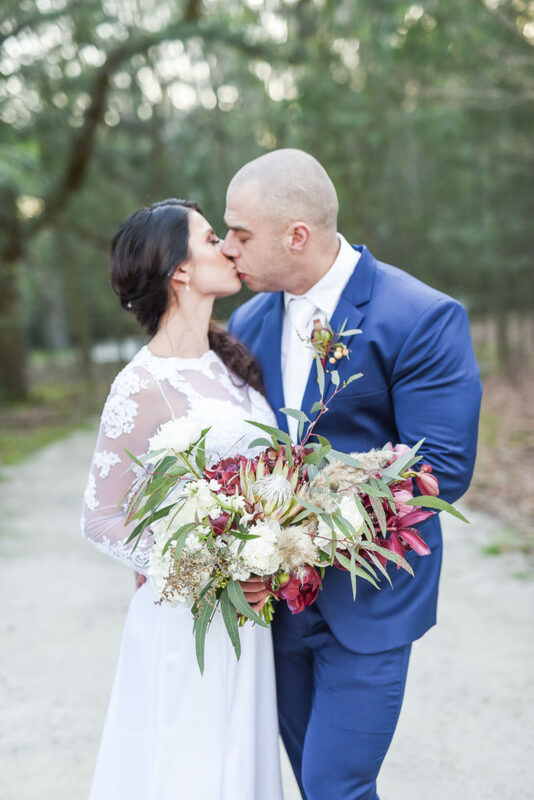 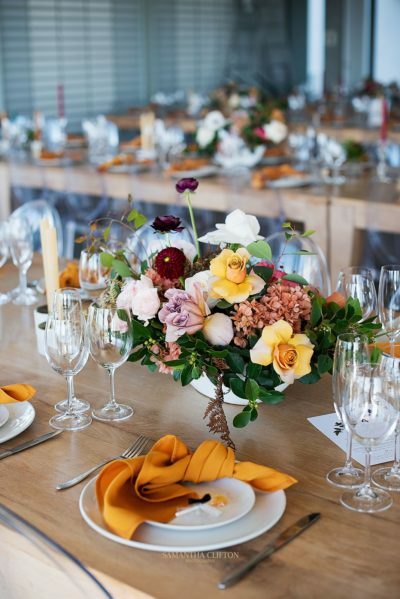 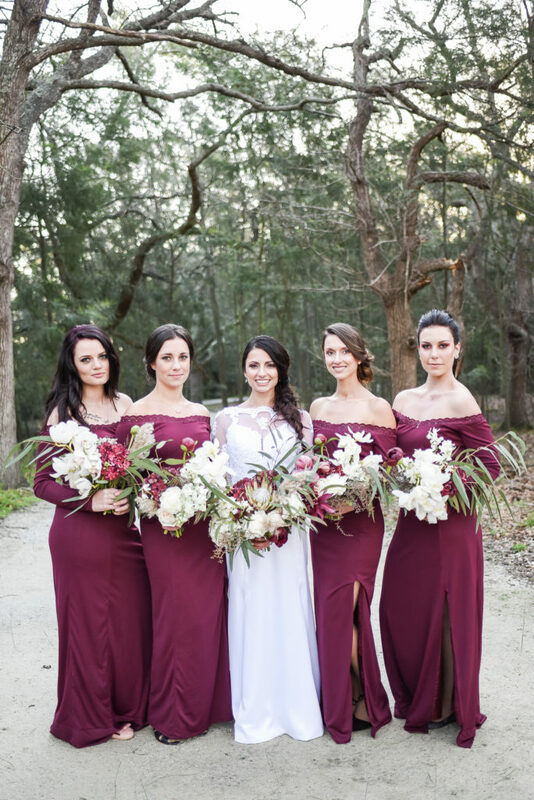 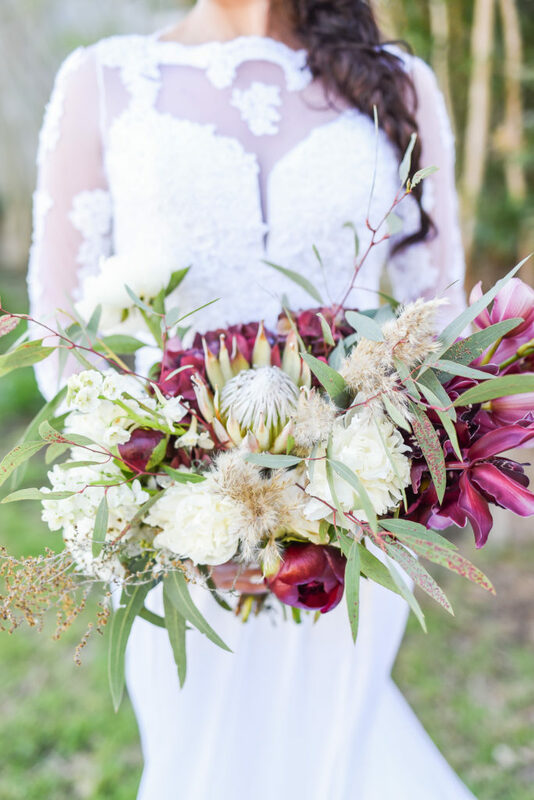 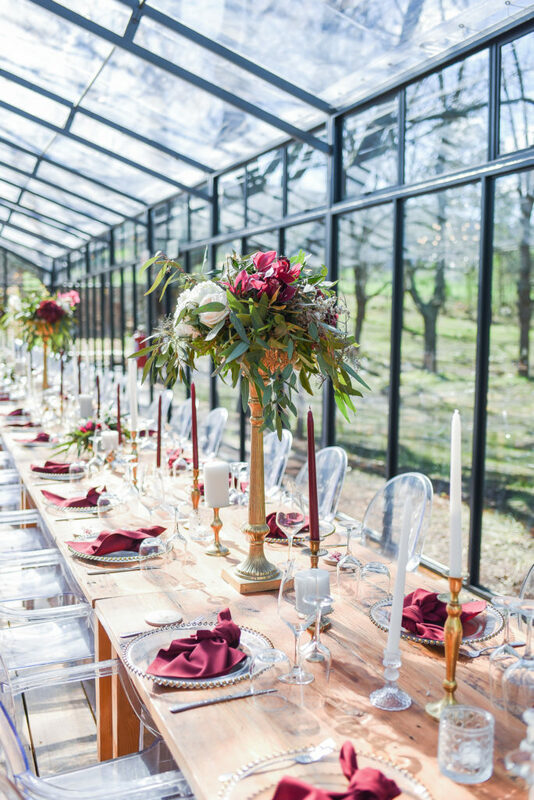 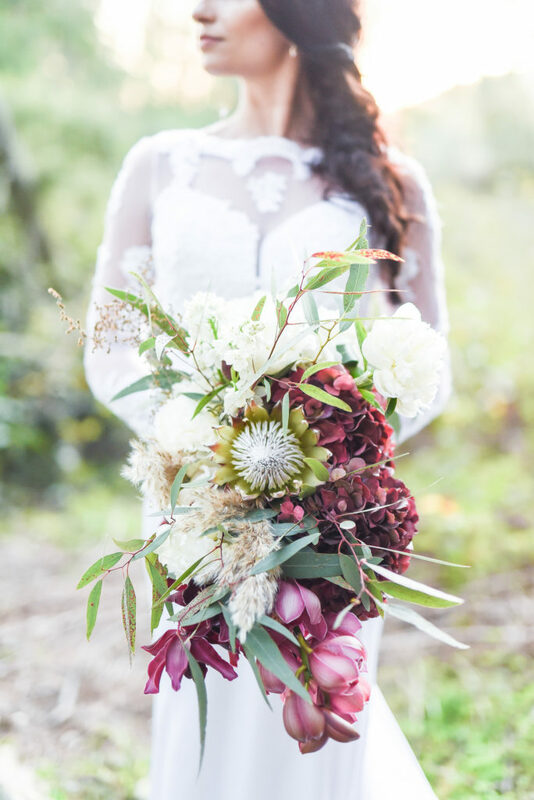 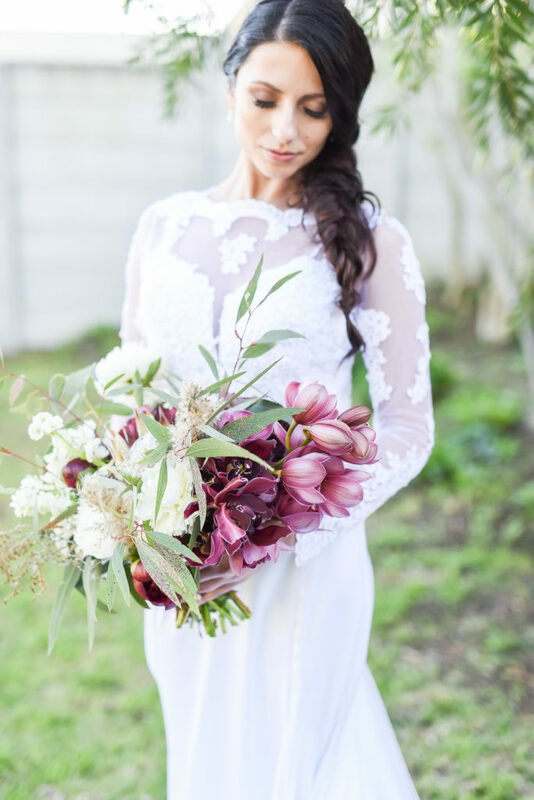 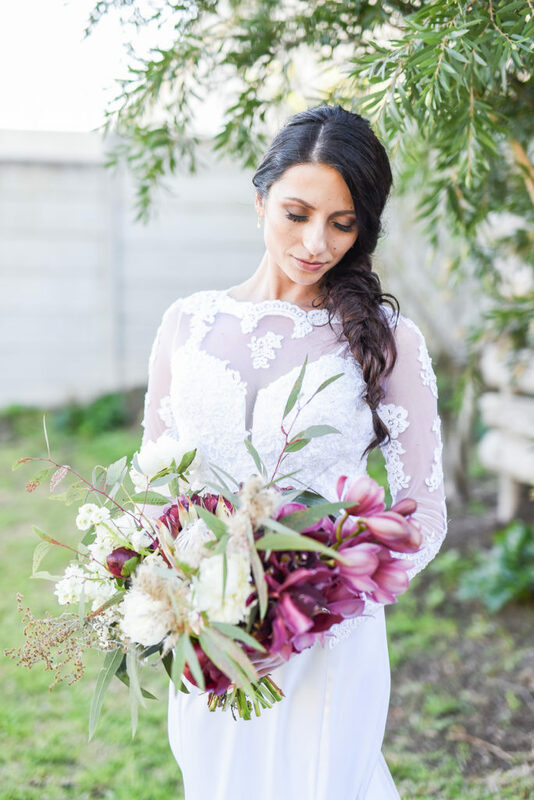 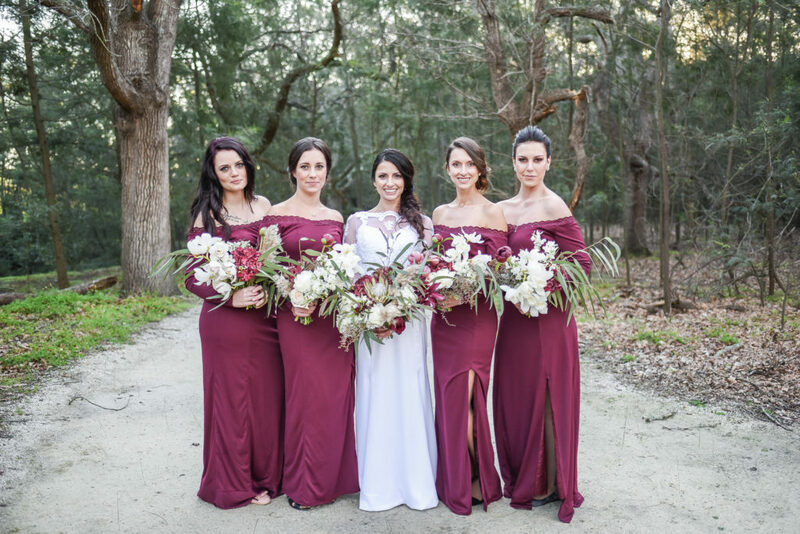 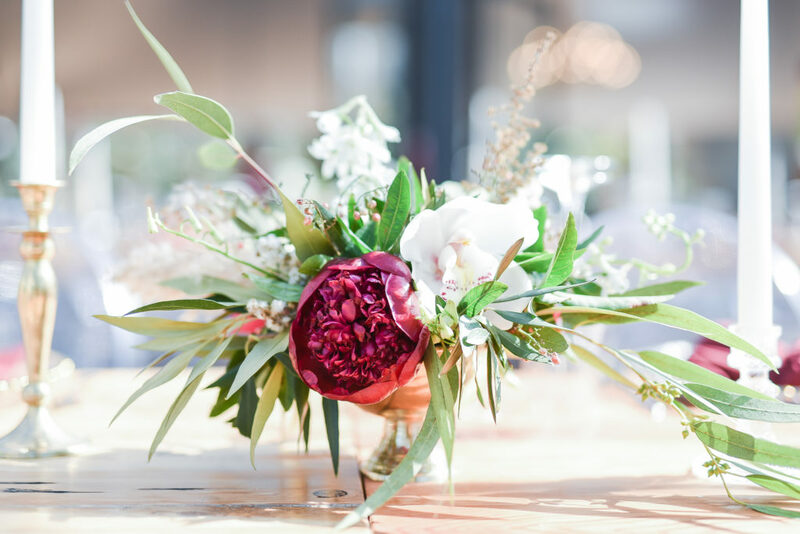 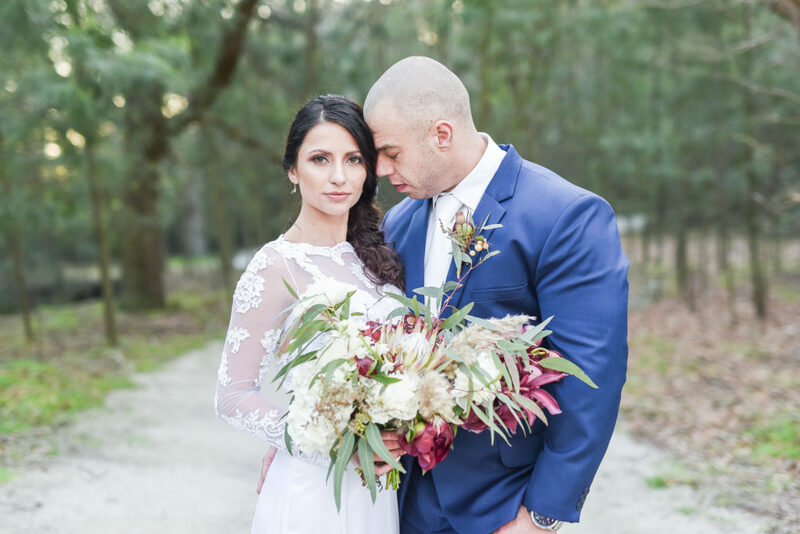 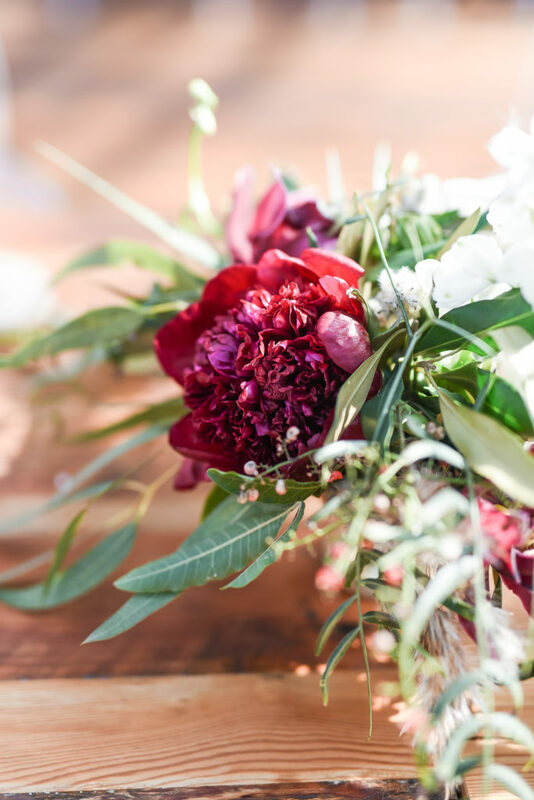 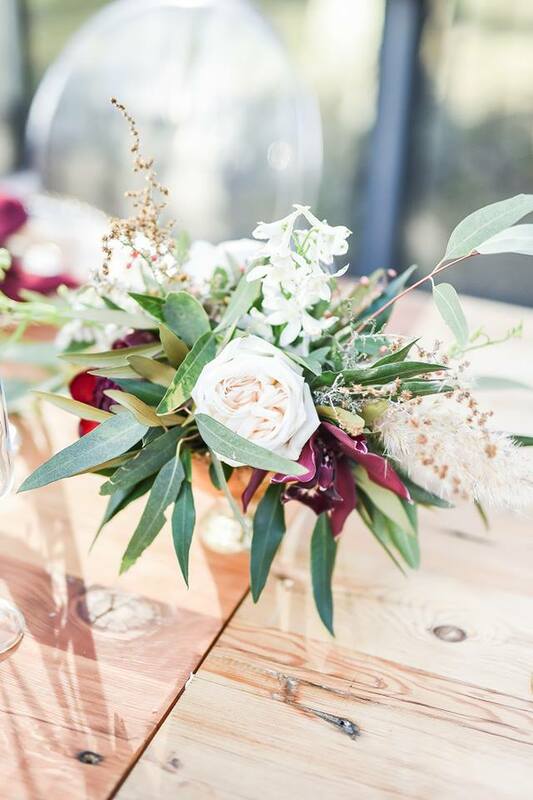 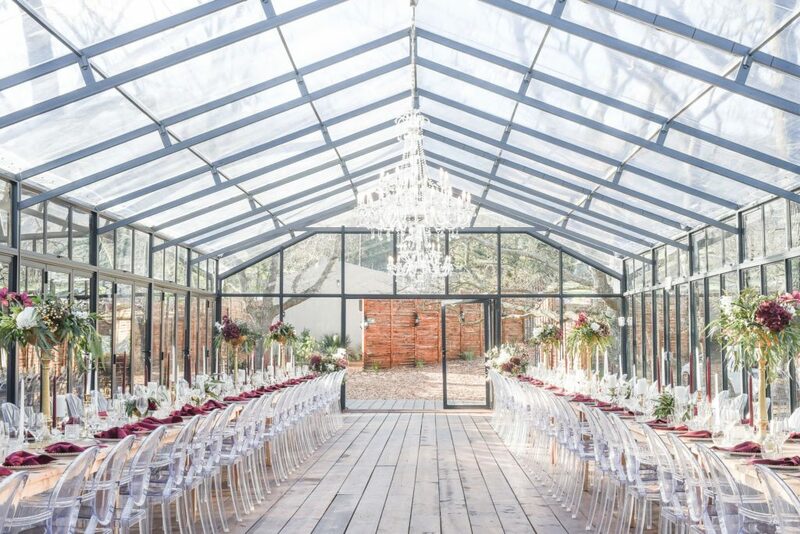 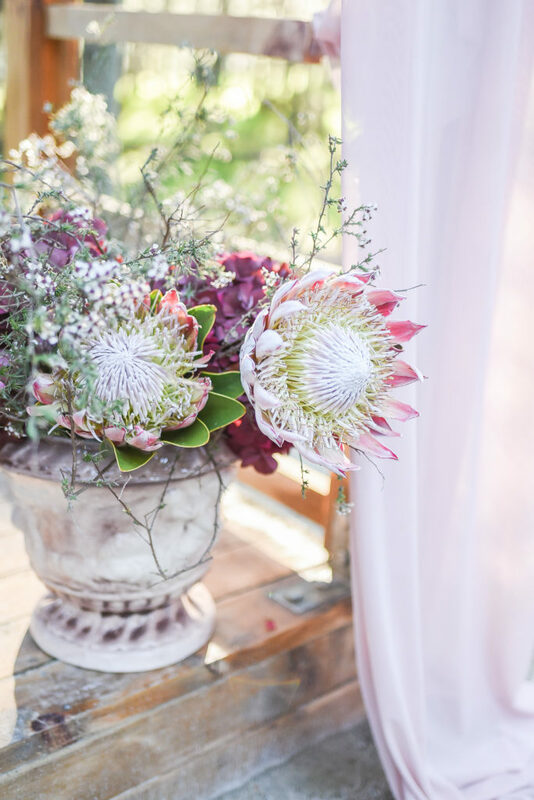 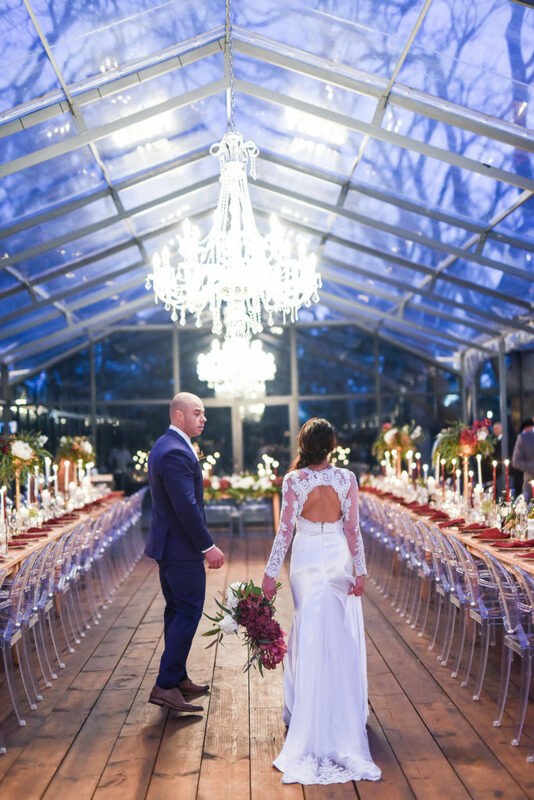 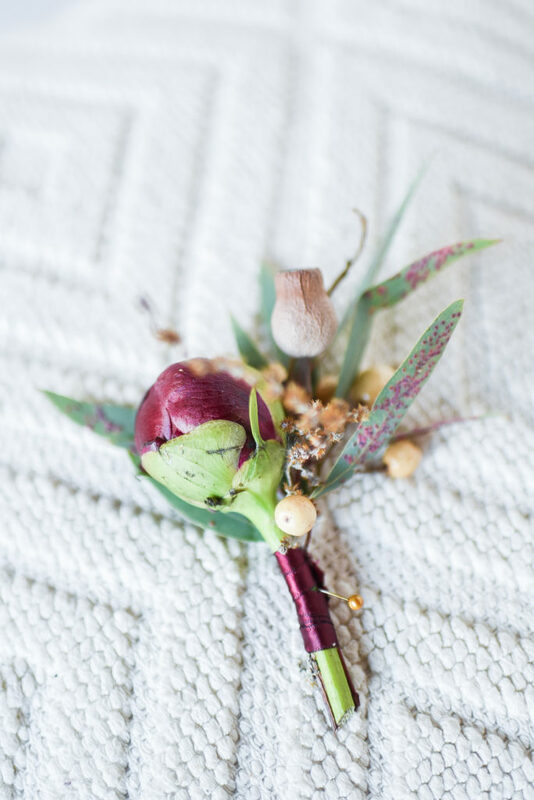 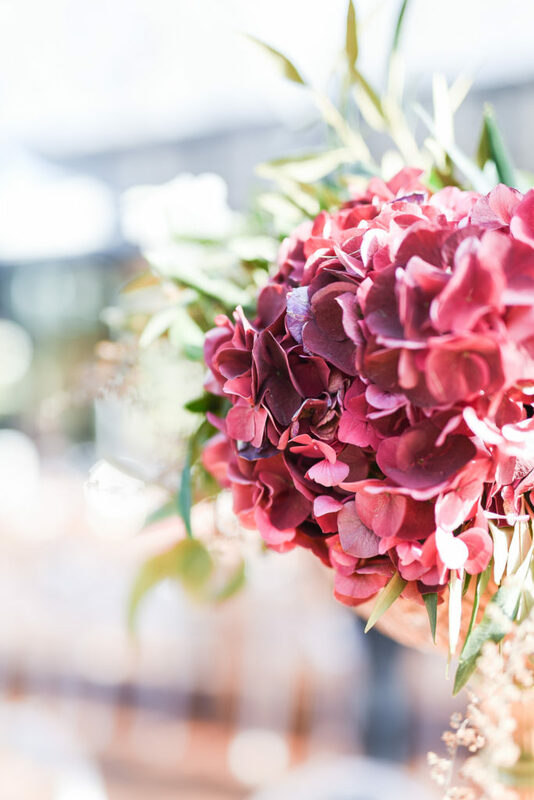 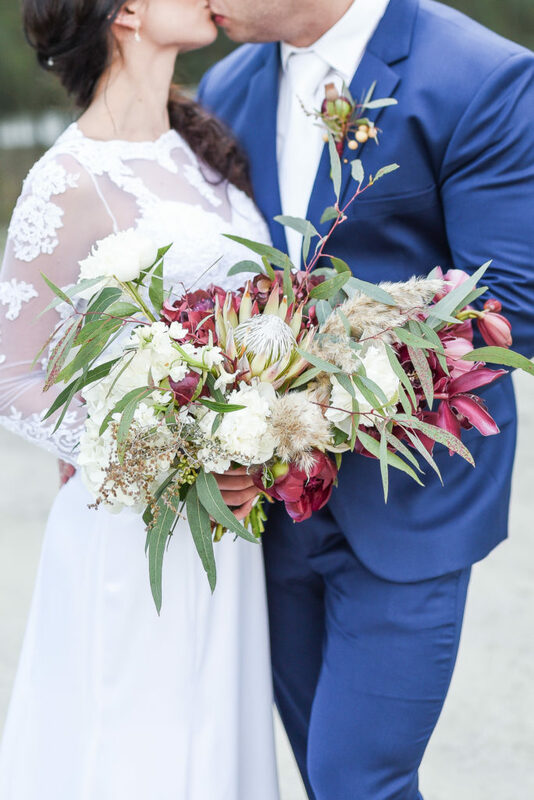 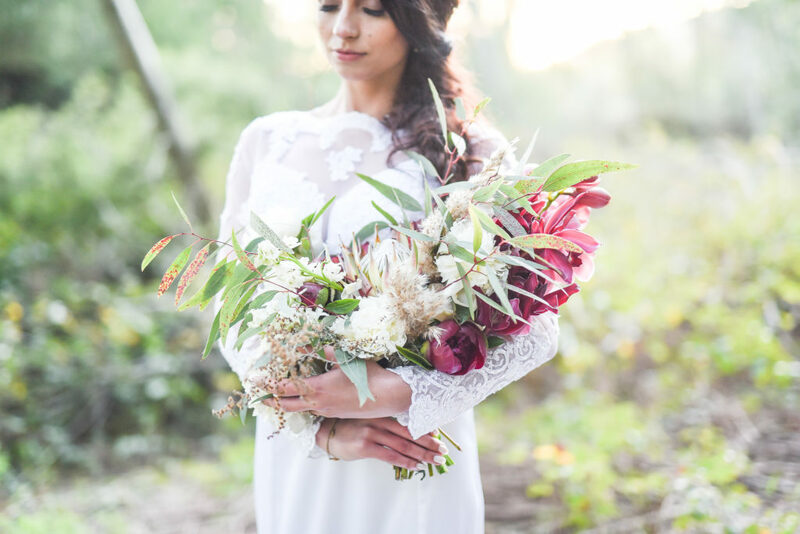 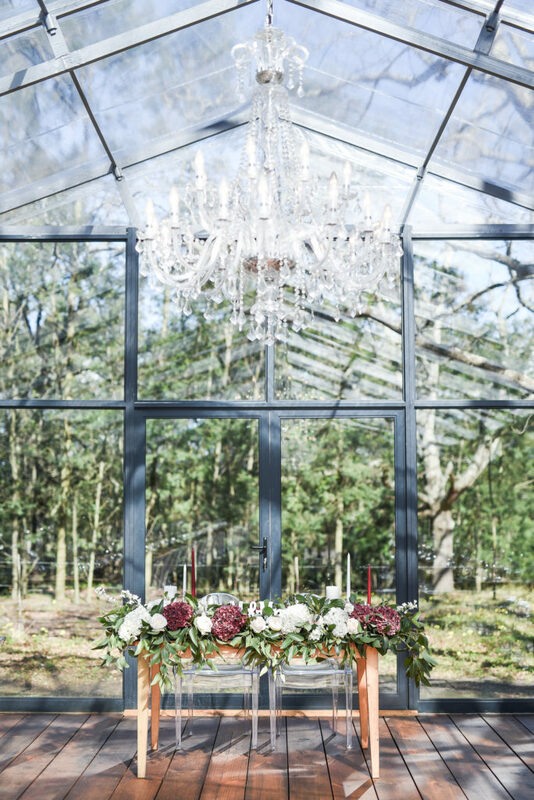 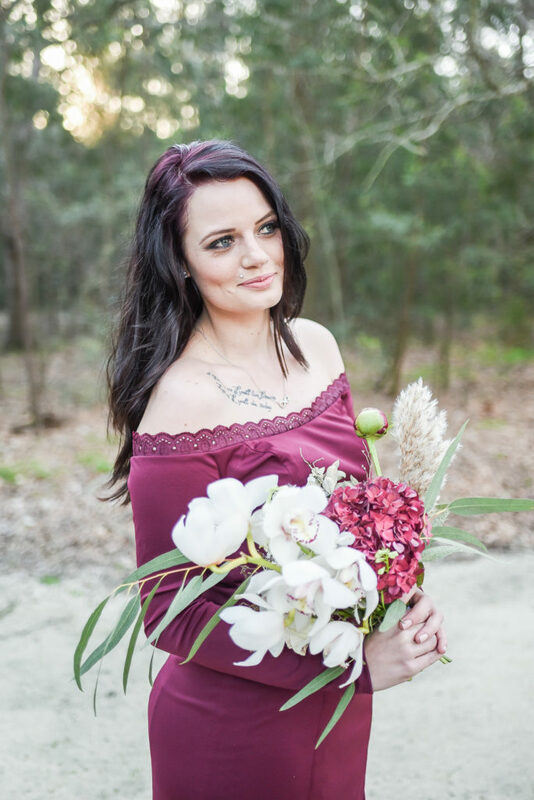 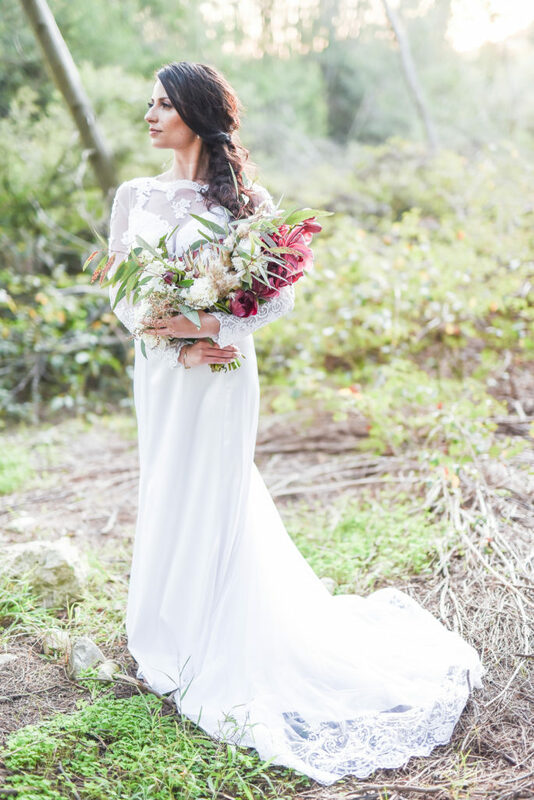 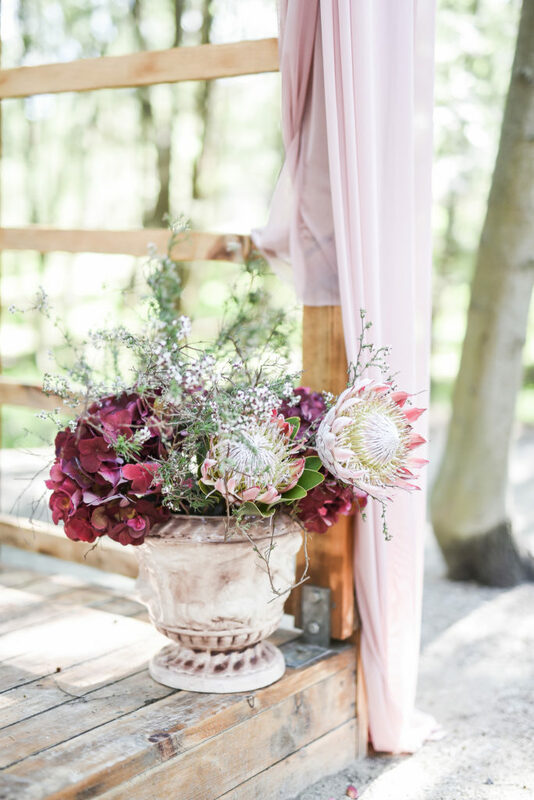 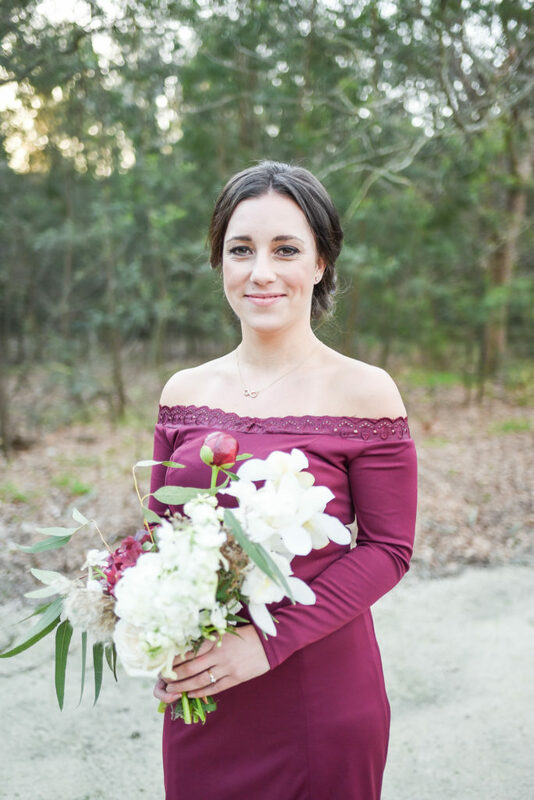 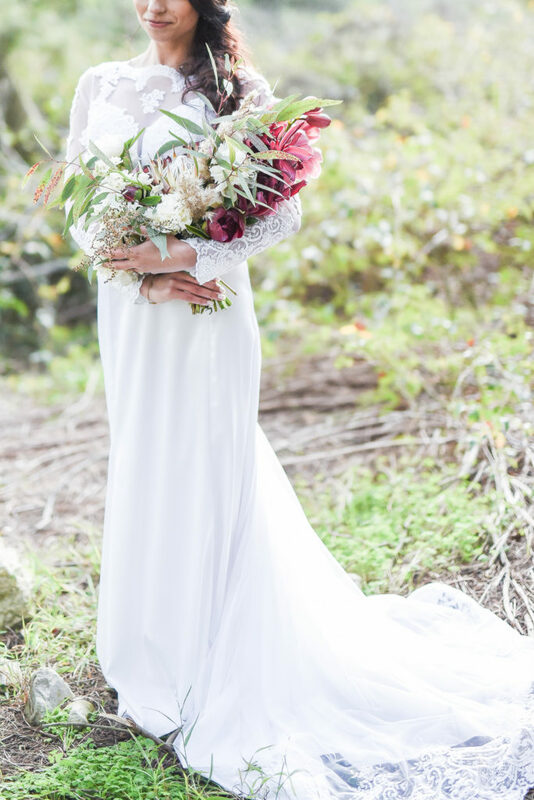 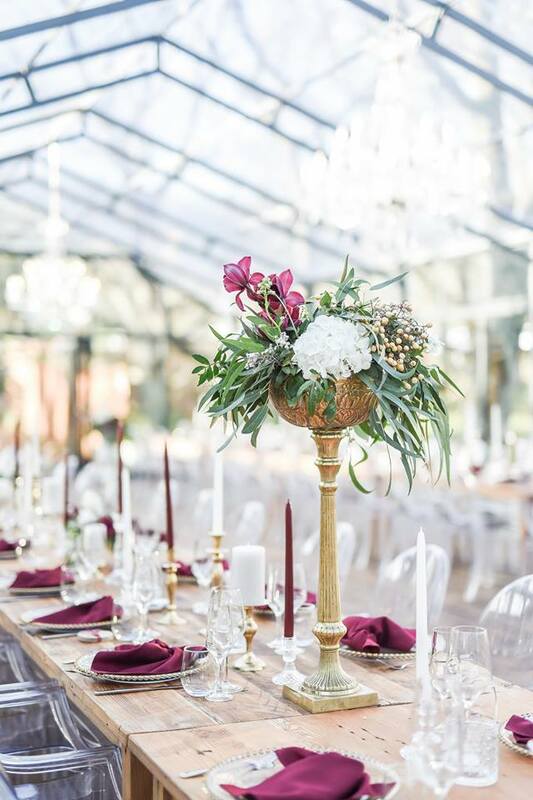 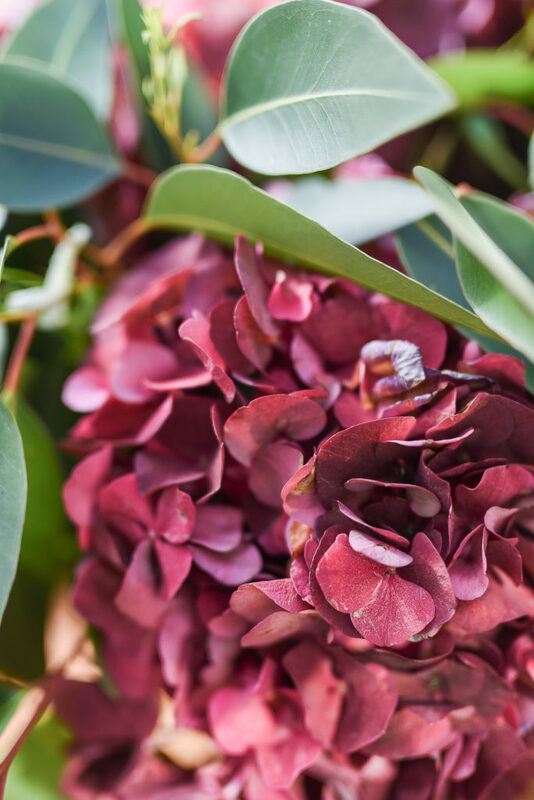 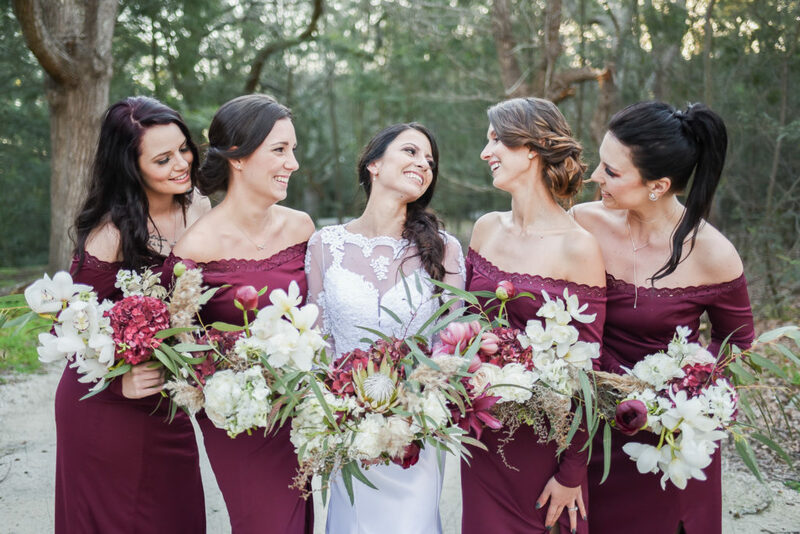 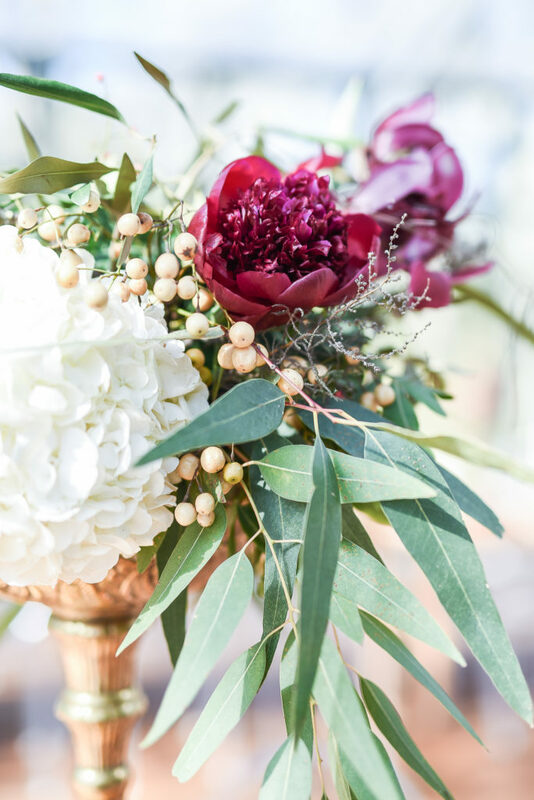 Foraged berries, beautiful garden roses, deep burgundy peonies, hydrangeas and pops of cymbidium orchids made up the bulk of florals used for this wedding. 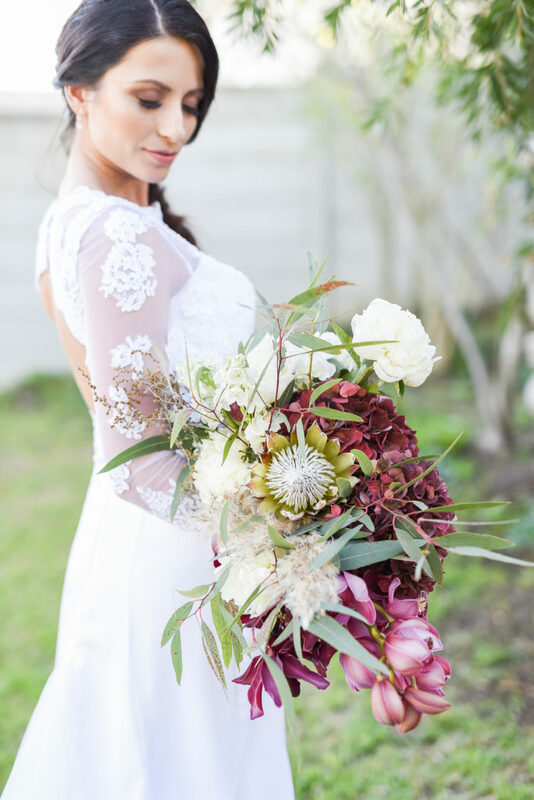 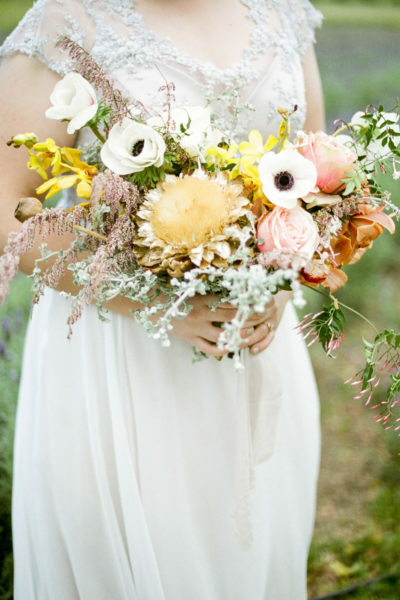 I love making Bianca’s bouquet, perfect mix of dry and lush elements and it suited her small frame perfectly. 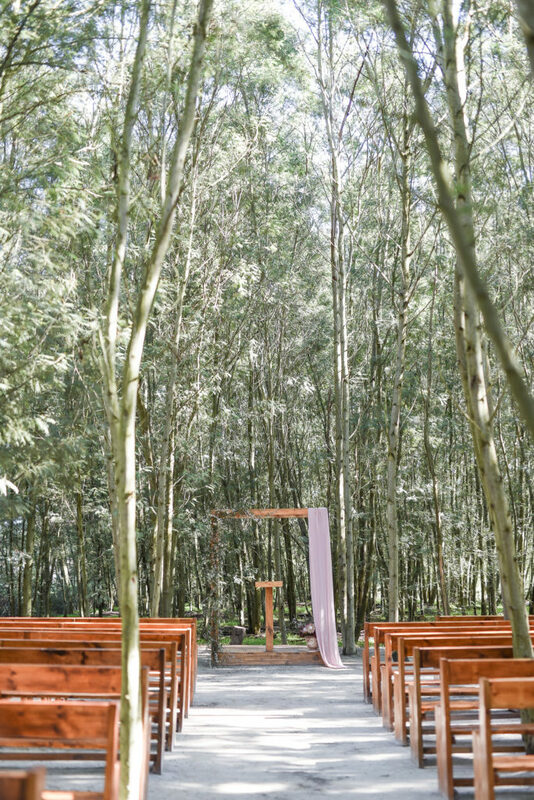 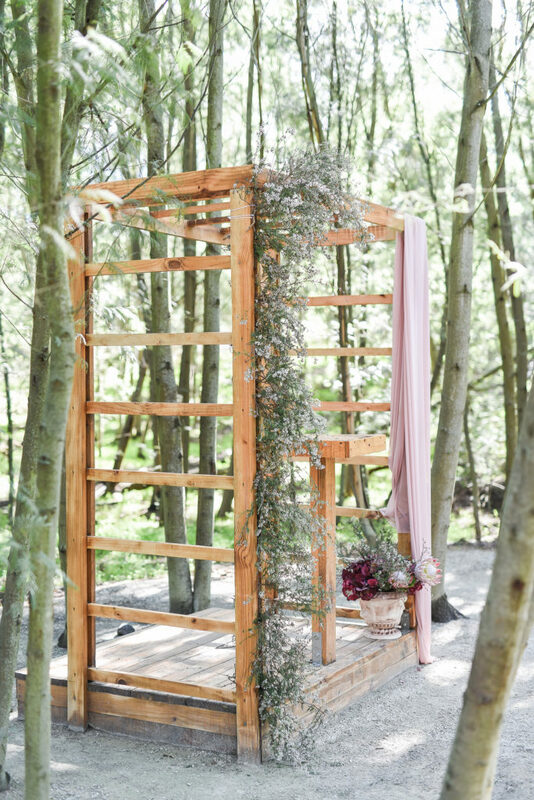 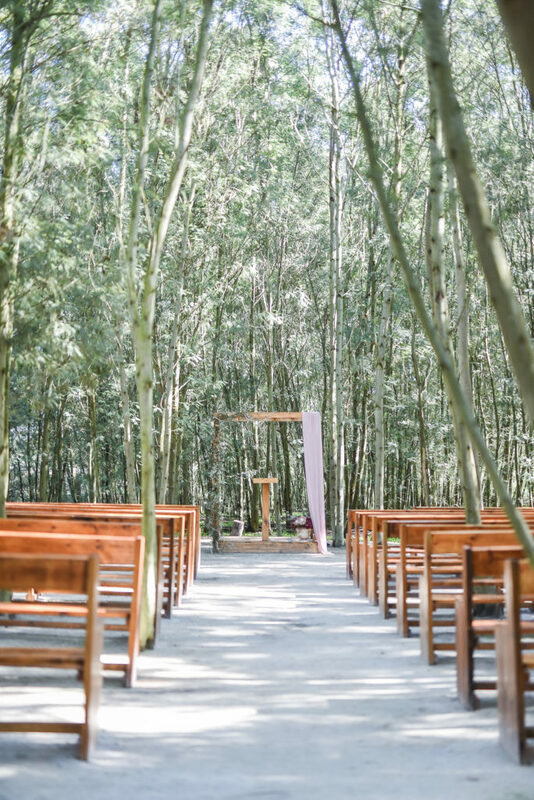 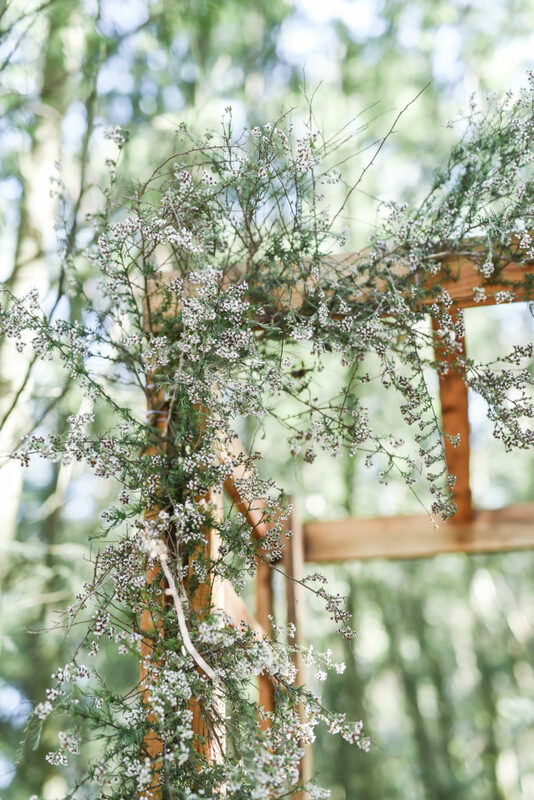 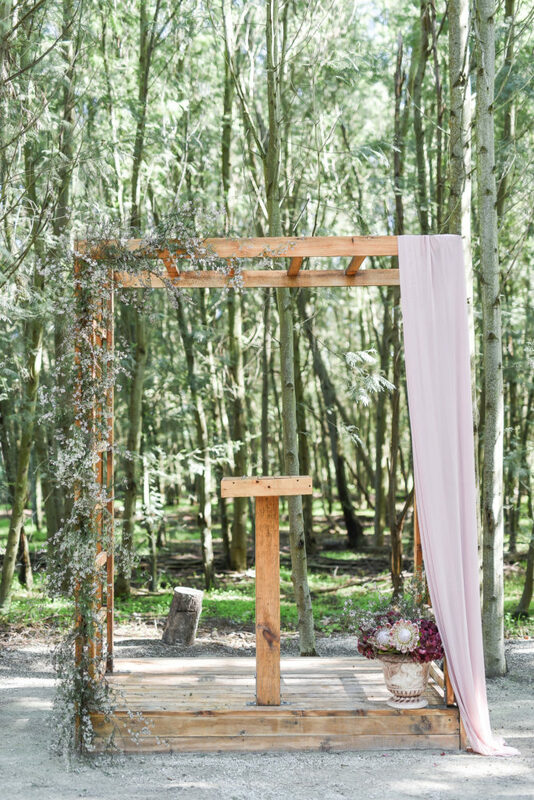 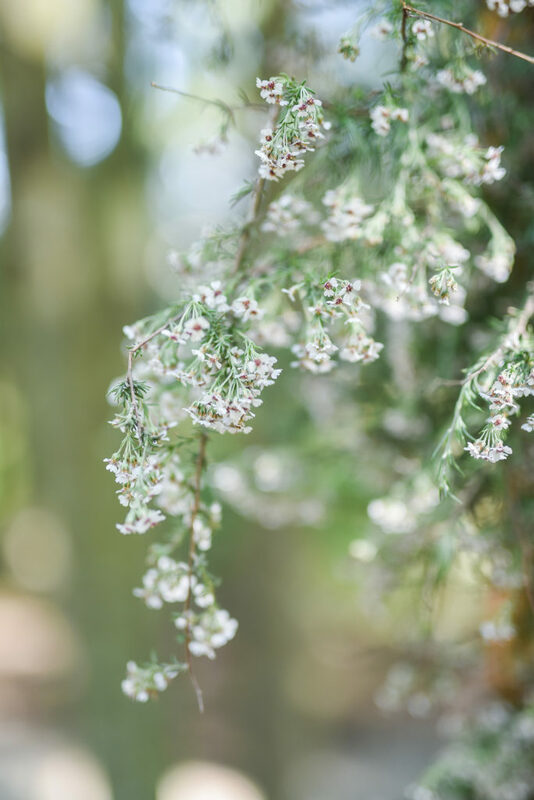 The arch was dressed with delicate little white flowers and I love this fresh take on the ceremony site at the beautiful Die Woud. 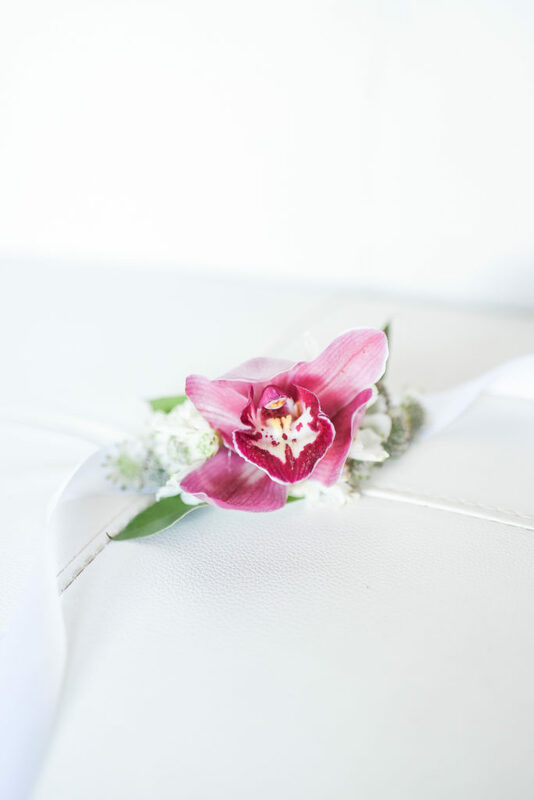 Delicate wrist corsages, lush bridesmaid bouquets and unique boutonnieres made up the retinue flowers. 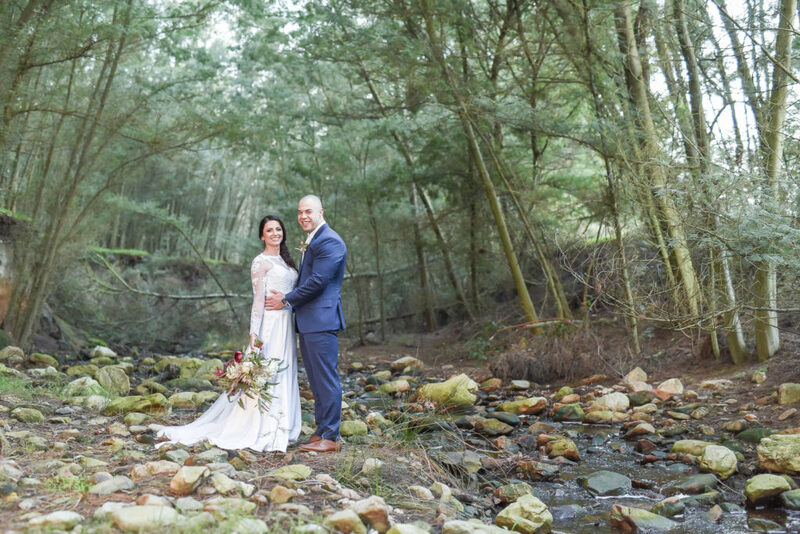 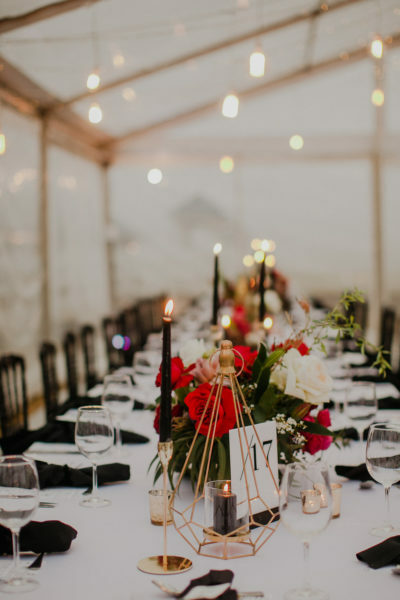 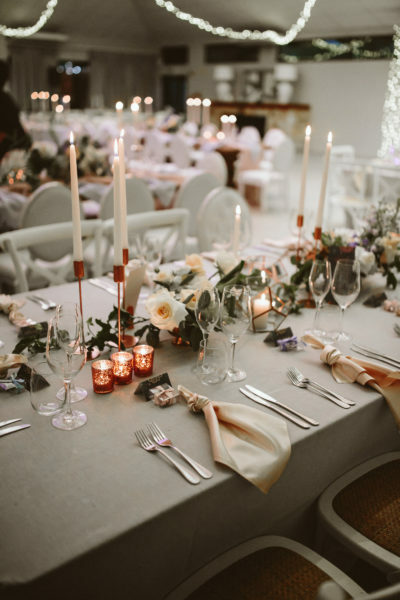 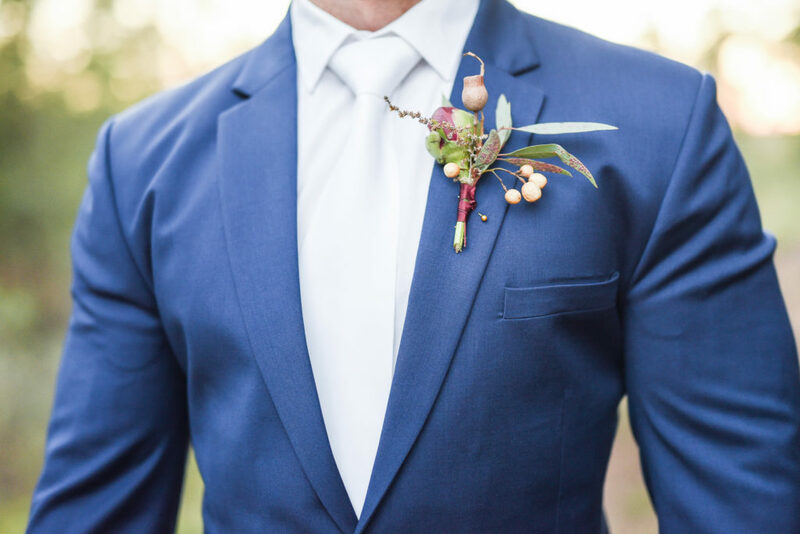 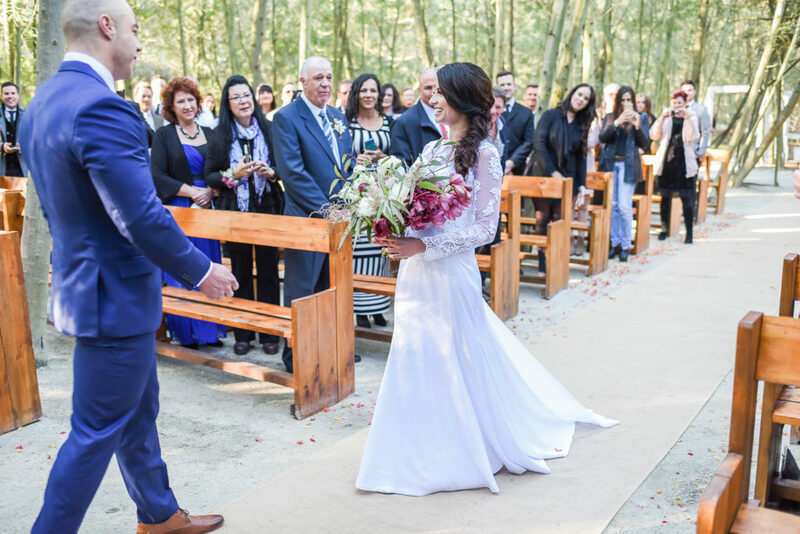 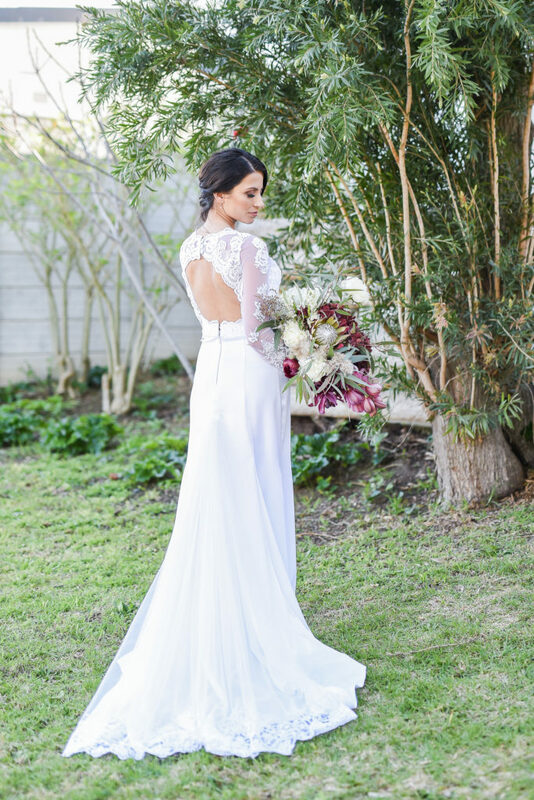 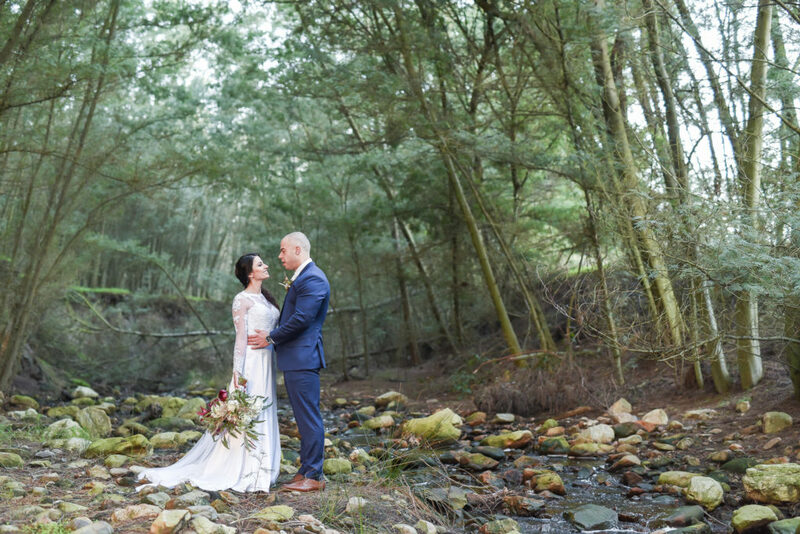 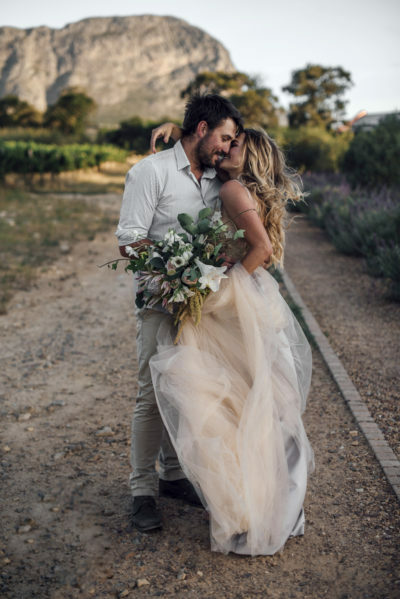 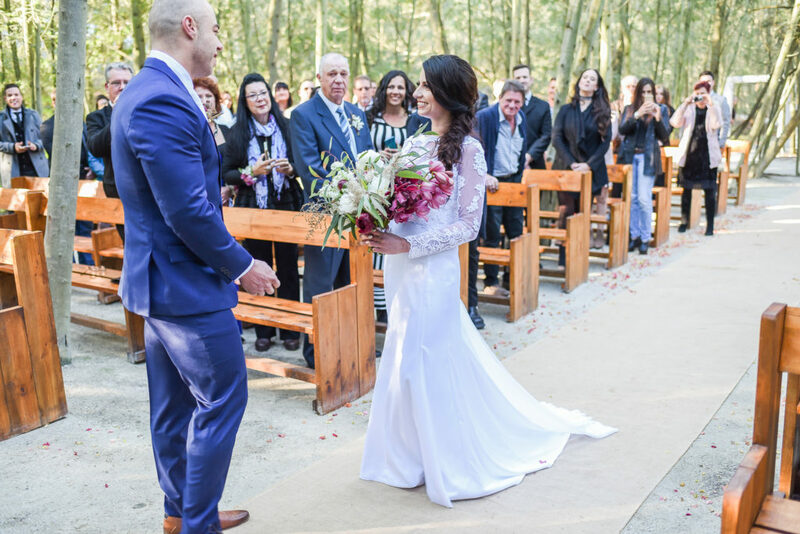 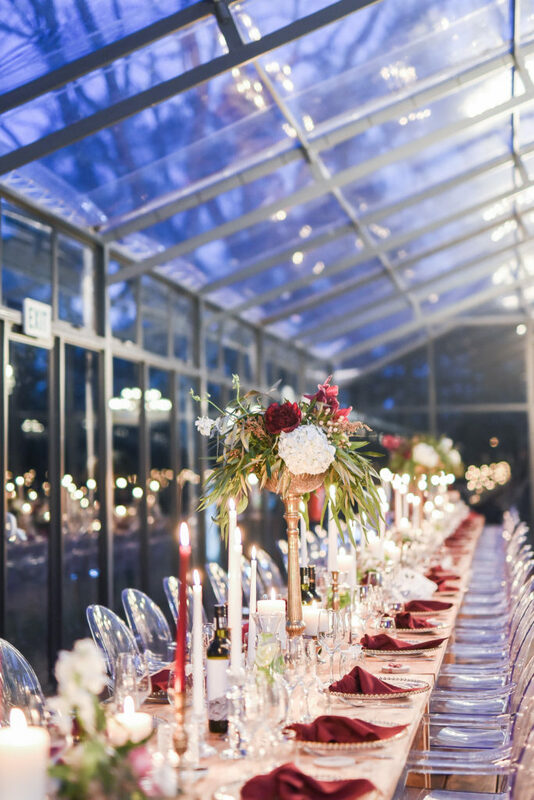 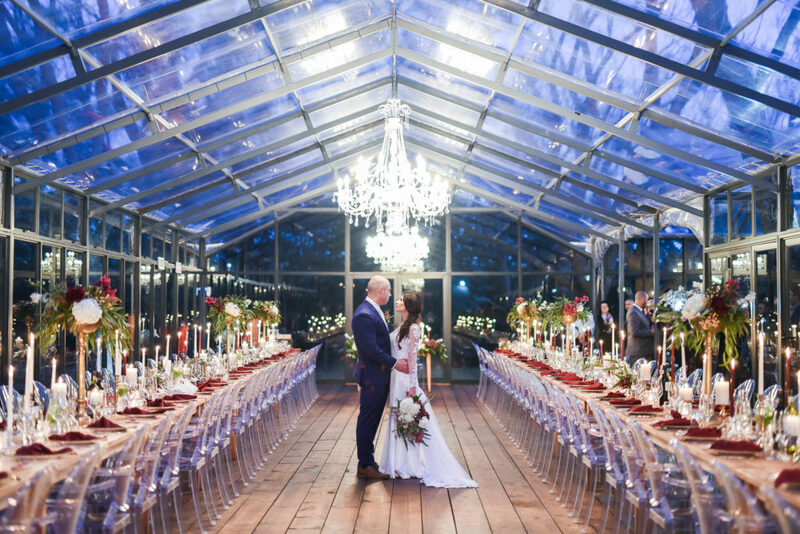 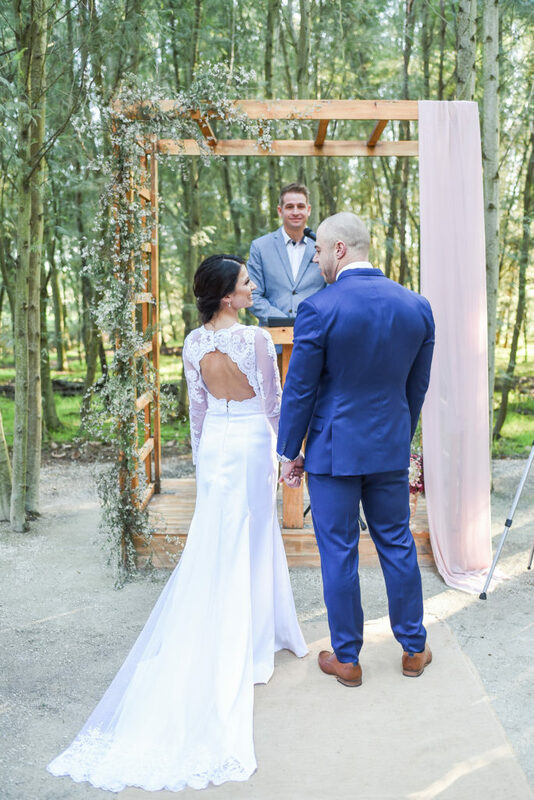 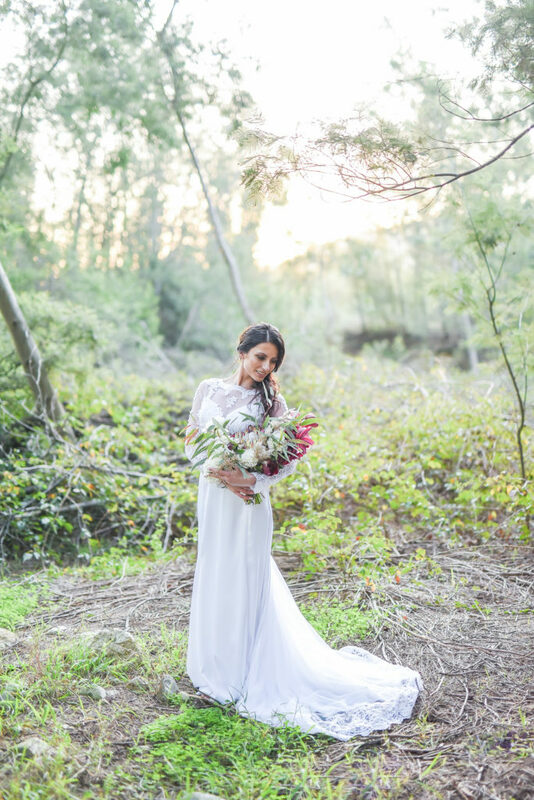 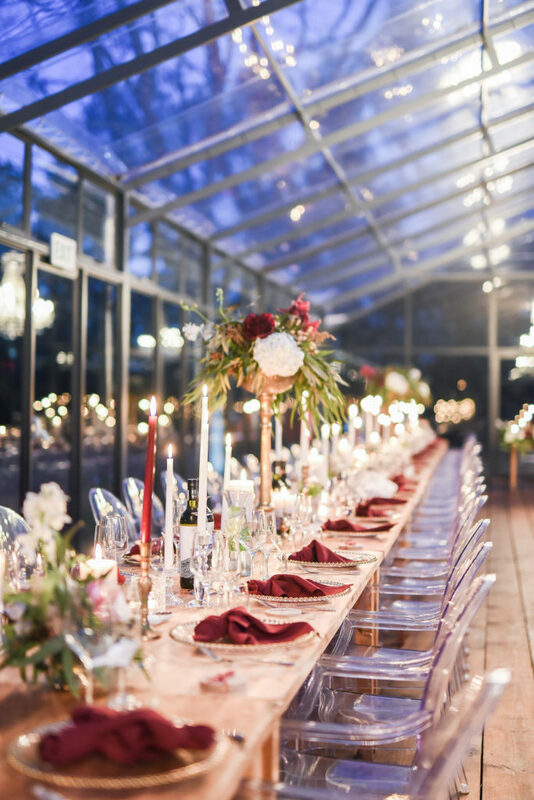 Thank you to my friend Chantall for the beautiful images and also thank you to Mr & Mrs Cordier for trusting me with your wedding day – I loved being part of it AND we had a blast, dancing the night away with the happy couple!